It’s that time of year again! 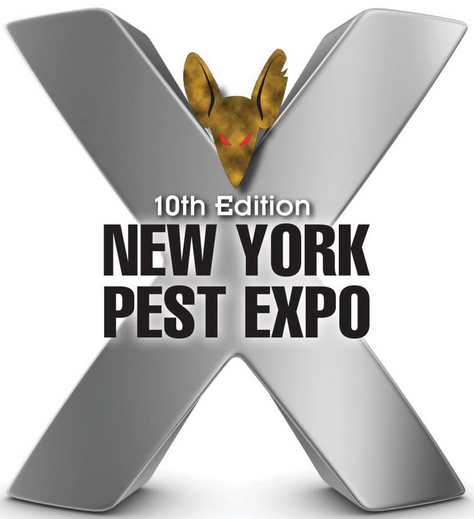 Time for the 10th Edition of the New York Pest Expo! Please mark your calendars to join us Thursday, November 8th, 2012 at the Armory from 8:00 am to 6:00 pm. The New York Pest Expo has become the most important one-day event in pest management. The Expo continues to grow in influence and scope and the 2012 Anniversary Edition promises to be bigger and better than ever with more exhibitors and attendees than in years past. Get connected with the Metropolitan area’s leading professionals. View exhibits and discuss product features with major manufacturers and business support providers. Take advantage of great promotions and blowout pricing. Nobody leaves the Expo empty-handed! Tuesday, September 11, 2012 at amazing Citi Field, home of the New York Mets, a recertification rodent workshop was presented by Lipha Tech’s John Murphy in Citi’s state-of-the-art Auditorium. After the Seminar, we watched the Mets play the Nationals in our own private party room at Modell’s Clubhouse. The beer, wine and soft drinks flowed while we feasted on peanuts, popcorn, chips, hot dogs, burgers, pasta salad and cookies. What a great opportunity to meet and greet on this memorable night! Our friend, Dr. Bill Lampton at Championship Communication thought our audience would enjoy this article about the 4 best ways a leader communicates effectively with his or her people and asked that we share it. It’s a result of extensive interviews by the Harvard Business School. Enjoy! It used to be so easy for a chief executive. He could develop strategic objectives and send them down to the ranks as directives, confident that employees would make his desires reality. The following article, Most Wanted: Flies By Dr. Stuart Mitchell was originally shared by PestWest in the PestWest 411 Newsletter. They come by air, land, and filth flagrantly violating our public health laws. These flying infections criminally move pathogens from filth to food. They vector diseases such as dysentery, gastroenteritis, tuberculosis, and intestinal-worms. Spotting is produced when feeding and defecating. These law-breakers each produce 16 to 31 spots in 24 hours. They harbor up to 6 million external bacteria and 25 million internal bacteria.